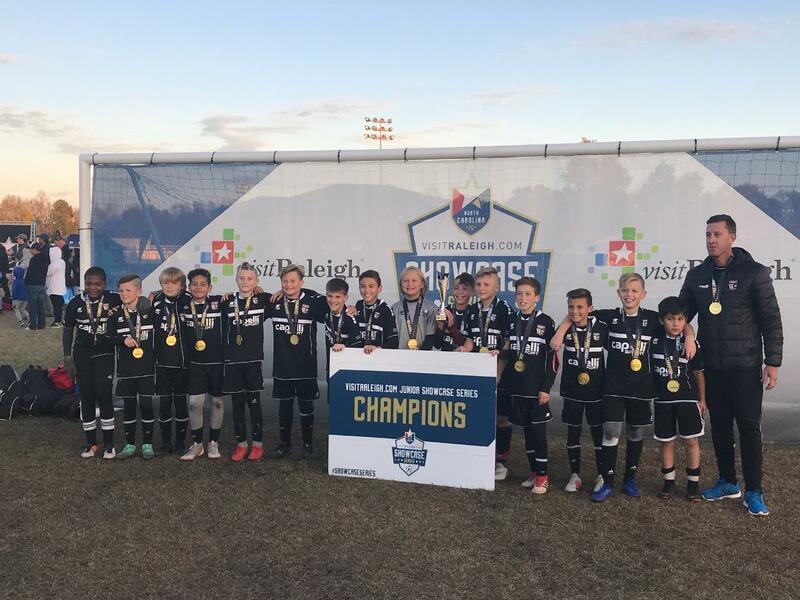 Coach Joel Banta’s Coast 07 Red (Click for Image) first received high praise by being placed in the U12 second flight at the Visit Raleigh Junior Showcase ( formally CASL Showcase ) and then validated their placement by winning the tournament. The Raleigh, North Carolina event is recognized as one of the top youth tournaments in the United States with most age groups having seven or eight flights with eight teams each. The competition proved strong with the boys scrapping to a 3-3 result with VSA Pre NPL out of the Washington DC area in their first match. Two comfortable victories over Charlotte and Raleigh based teams followed setting up the final against a very familiar foe in GPS NASA. The boys edged NASA 1-0 to claim top honors. “I am very proud of the team and their performance over the weekend. They faced some very high level sides and were able to compete well to claim the championship. We have had an excellent season so far and this is a wonderful accomplishment as we continue to develop” said Coach Banta. 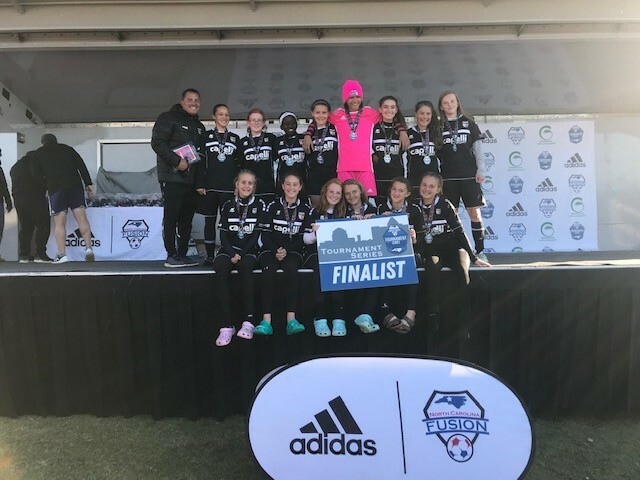 The 04G Red (Click for Image) girls squad coached by Mark Sanchez came up just short in the U15 championship of the Adidas Clash in Greensboro, North Carolina to claim finalist honors. The first three matches were near perfect results for the girls featuring a 1-1 hard fought tie with NCFC Wake Forest. Two consecutive clean sheets followed with a 3-0 result over Raleigh based NCFC Fusion and a 2-0 margin over Highland Football Club from Asheville. A pk shootout was needed to determine the team to advance to the finals and the Coast girls made their way through. New River United posted a 2-0 victory in the finals. “ My girls played very well this weekend and showed great resilience and composure when forced into the PK shootout. We came up short in the championship but overall I was very pleased with the effort and look forward to what the future holds for them “ said Coach Sanchez. Coach Alli Hogan’s Coast 08g Red (Click for Image) team finished as finalist in the U11 division at the Adidas Clash. The opening match of pool play saw a 4-0 result against Charlotte Soccer Academy followed by a hard fought 1-1 tie against eventual champion NCFC Arsenal. The semi final match versus NCFC Storm ended with a 3-2 result sending the Coast girls to the championship to once again face the NCFC Arsenal. This time the Arsenal imposed their will in route to a 3-0 decision. Coach Hogan said “ Our girls have worked so hard and fought through a lot of adversity so for them to reach the finals of this tournament was just perfect. They deserved this chance and I am so proud of their effort not only this weekend , but this entire year.” Well done ladies !